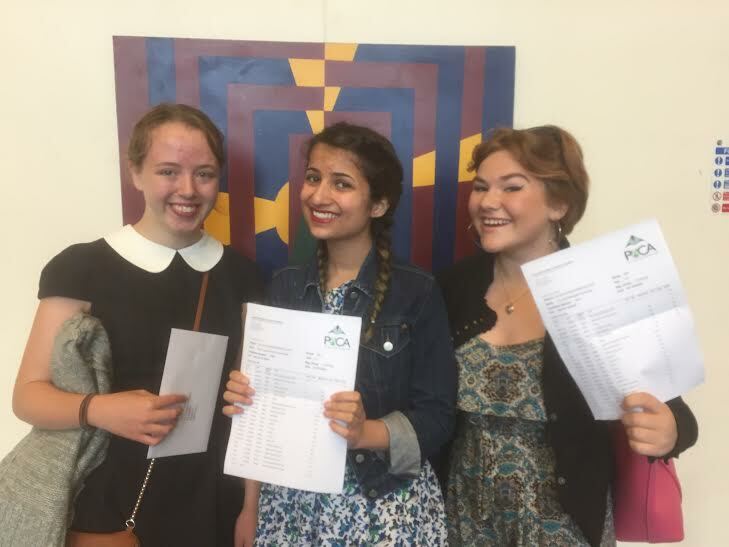 Pupils at the Portslade Aldridge Community Academy (PACA) have been celebrating as the school achieved its best ever set of GCSE results. Sixty per cent of students achieved the government benchmark of five GCSEs at A* to C including maths and English. The school said: “Seventy eight per cent of our students achieved A* to C grades in English, maintaining our excellent results in this subject. “Eighty four per cent of our students made expected progress in English with 20 per cent achieving better than expected progress. Many of PACA’s students will stay on at the school’s sixth form, with some choosing the new Brighton Digital Media Academy which opens at PACA next month for post-16 study. It will make use of the facilities at the school which has a new sixth form building as part of a £13 million refurbishment at its Chalky Road site in Mile Oak. The school – for 11 to 18-year-olds – takes an entrepreneurial approach to learning and specialises in digital media, science and sports. New principal Katie Scott takes up her post next month.